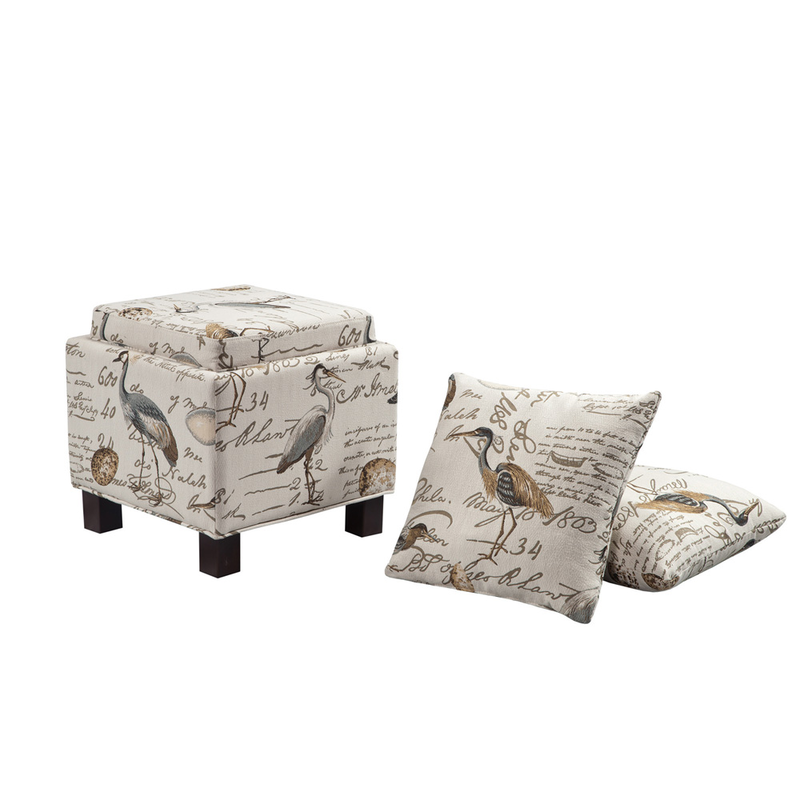 Give your living room coastal flair with the Shore Side Gramercy Ottoman, detailed with a shore bird print. Ships from the manufacturer. Allow 1 week. Cannot express ship this beach style furniture. For even more offerings, we encourage you to take the occasion to look at our extensive selection of coastal style ottomans at Bella Coastal Decor now.